If you make the screeching vinyl sound and rewind five years ago, flying in business class was all about the extra space and that was pretty much it. Ok, and maybe the booze too. 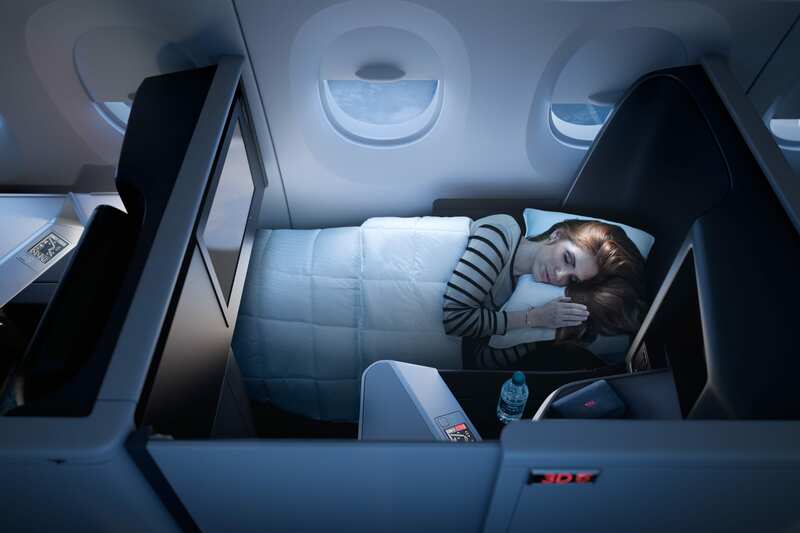 Despite beds in the sky being the most obvious draw of business class, airlines failed to equip their plush, custom designed seats with pillows or bedding that would match the comfort of sleep virtually anywhere else. You’re not seeing things. United’s “Polaris” partnership with Saks Fifth Avenue has created a monster. In a survey of our most trusted travel experts, the “gel cooling pillow” as part of the Polaris business class bedding set was the center of attention and overall winner, including votes from noted aviation experts Gary Leff, Seth Miller and Edward Pizzarello. We tend to agree too. The duvets, yes plural, aren’t bad either. Unsurprisingly, United will sell you one online. When Qatar launched QSuites, they didn’t just launch the first business class suites with privacy doors. We’re not confirming or denying that we’ve tried, but it’s safe to say that Qatar Airways business class duvets are large enough to cover a queen sized bed, let alone a seat in the sky. Soft crushed velvet on one side and cotton on the other combine for one of the best and most flexible options in the sky. 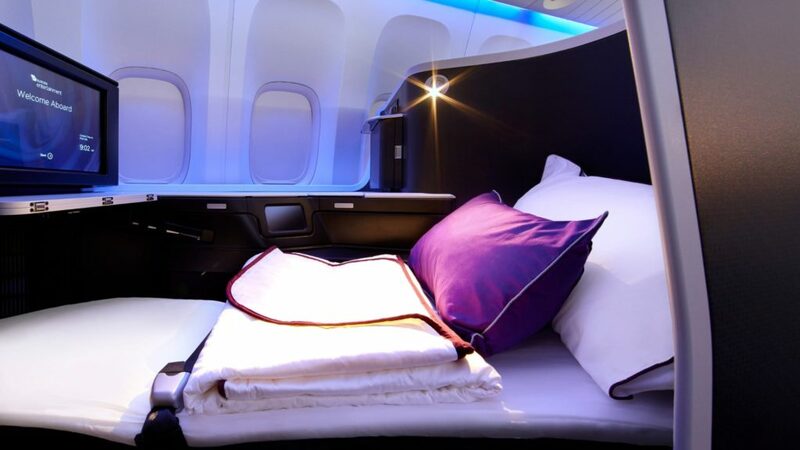 Virgin Australia provides a memory foam mattress pad to cover business class seats in sleep mode, which may be the very best in the skies. The airline offers a fantastic setup from top to bottom and the Juli Grbac pajama partnership doesn’t hurt either. If the pillows step up a notch, it could be the best sleep setup flying in business class, which helps on 15+ hour flights. Perhaps a jaw dropper, but it’s true. 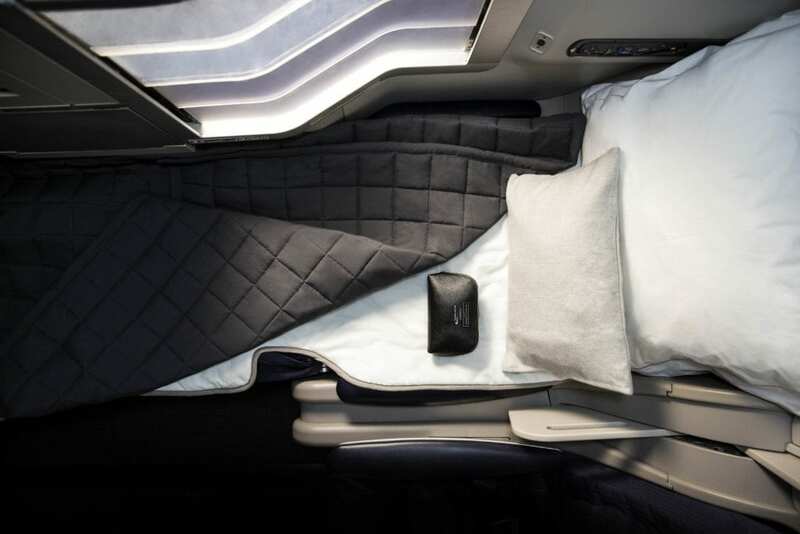 British Airways partnership with London based The White Company transformed the soft touches of this cabin into one of the most comfortable business class sleeps in the skies. Like United you’ll find multiple high quality duvets and pillows large and comfortable enough for your bed at home. If there was more space to store them, it’d be perfect. Heavenly bedding? Roger that. Delta was the first major airline to launch a bedding partnership and they went to the perfect place to find one: a hotel. The Westin brand continues to supply Delta’s “Heavenly Bedding” products, with the same level of high quality duvet you’d find in a hotel with an excellent pillow to match. Any products you’d like to see included? Is it ever ok? Does airline kind of calculated that as “part of doing business” ?? What if I am connecting? If pinching salt and peeper shakers are ok, then is pillow ok?? Kinda surprised not to see JAL bedding on here. Are you kidding? I eagerly awaited the “enhanced” Club World on a recent flight to MEX. The bedding was a joke and the crew highlighted the problem with the mattress “after it’s been used once and serviced”: flat as a pancake. Typical of BA- all hype and no substance. Good business class, not particularly good with pillows or bedding.